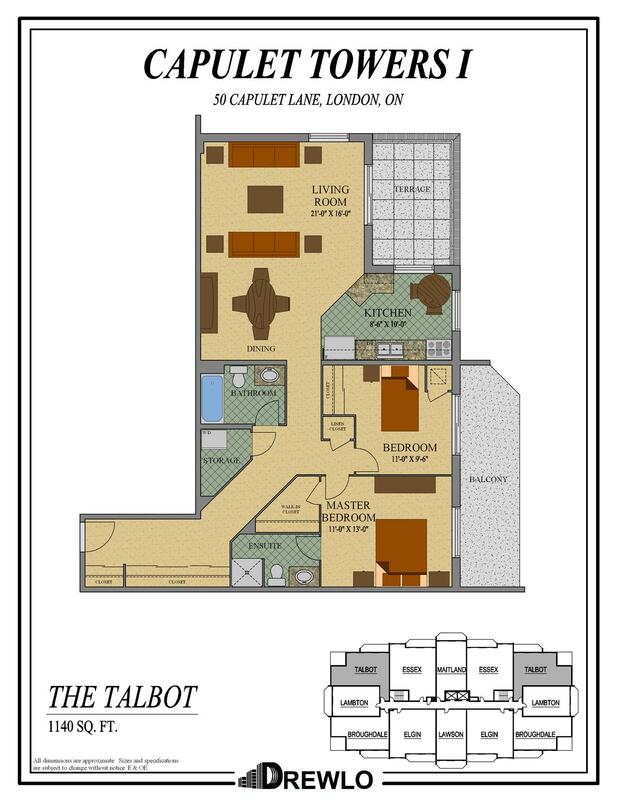 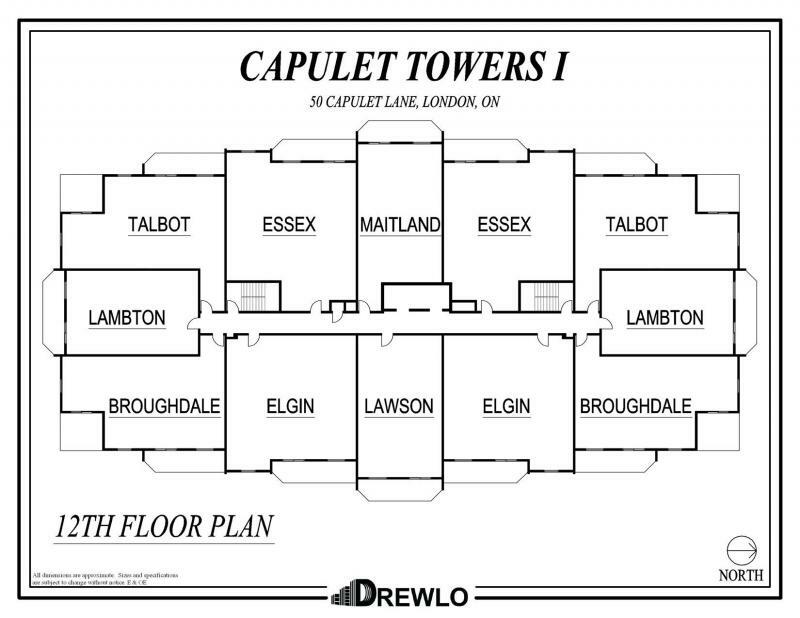 For anyone new to London, or any Londoners looking to find convenient and well-appointed living, Capulet Towers I is an excellent option for an Apartment Building in London. 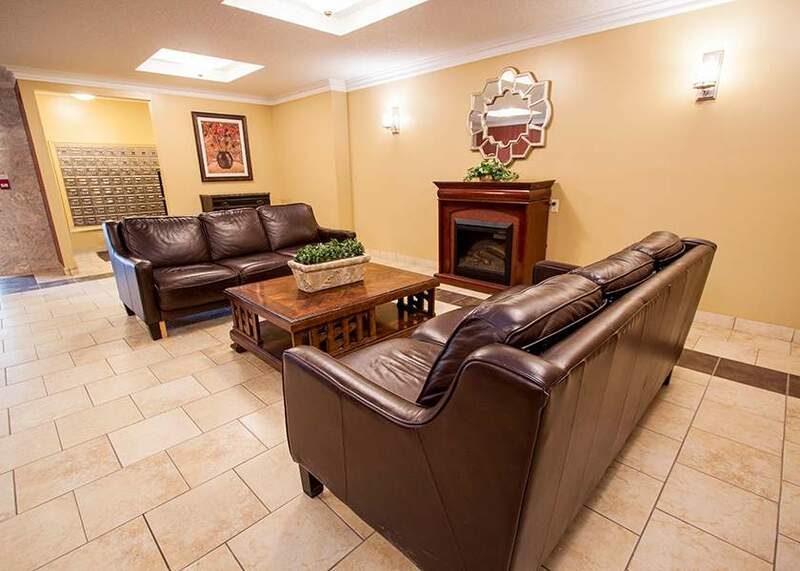 With an incredible location and excellent facilities, you'll be living in comfort while being walking distance to everything you'll need. 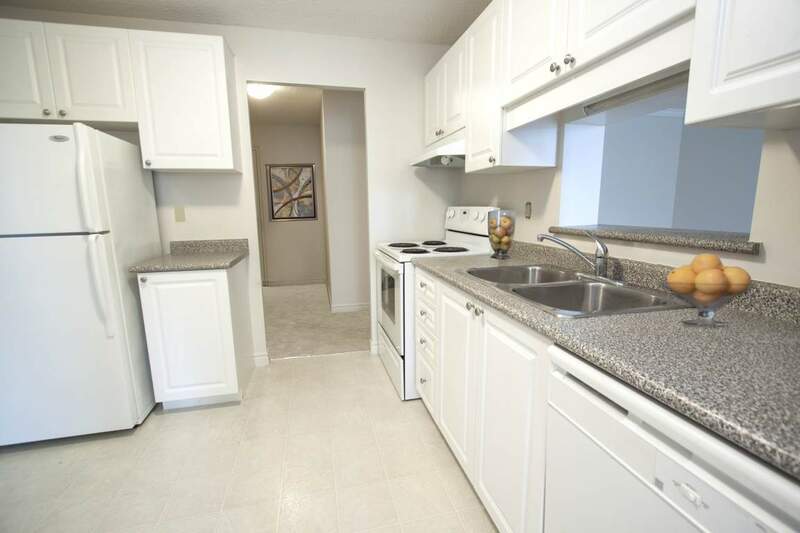 Everything from cafes, grocery stores, restaurants, pharmacies, to and barbershops/hairdressers, all within a fifteen-minute walk. 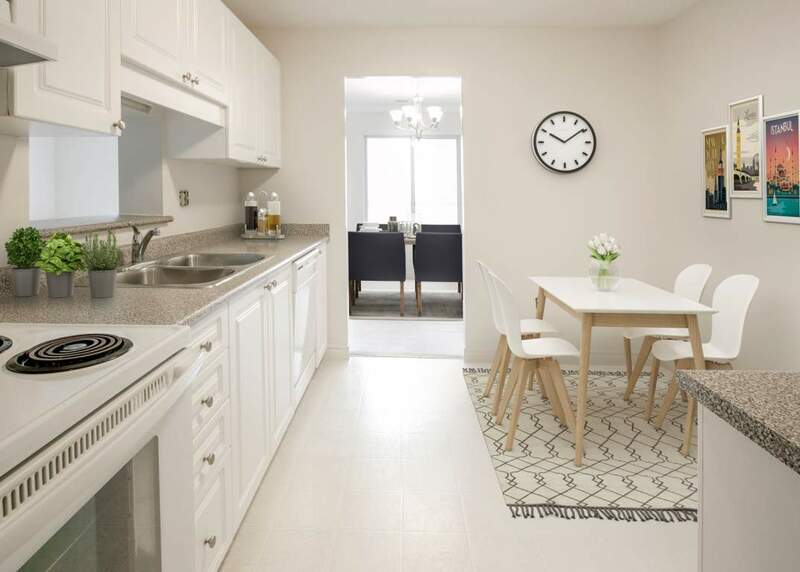 We strive to make your apartment rental experience as convenient as possible, while opening up London for you to explore. 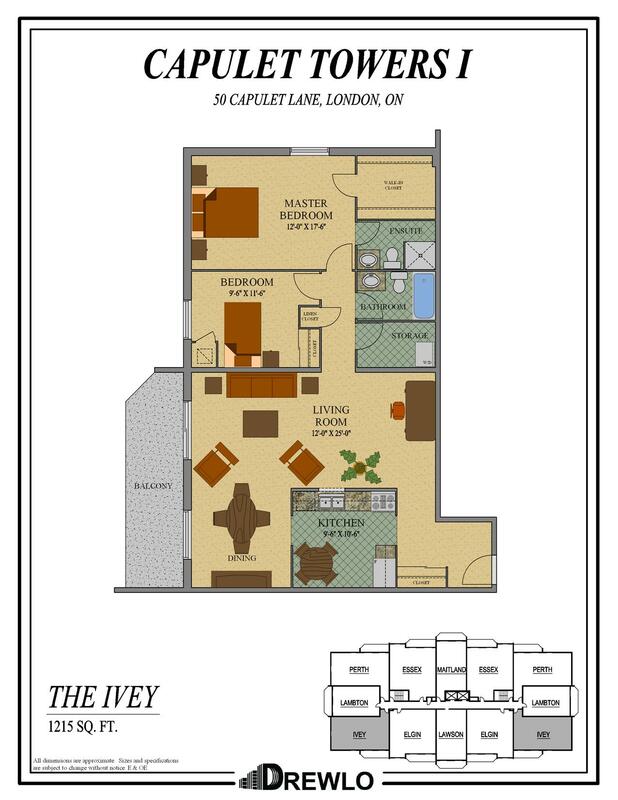 to key places in London, like Masonville Mall, Western University, or Storybook Gardens themed outdoor park. 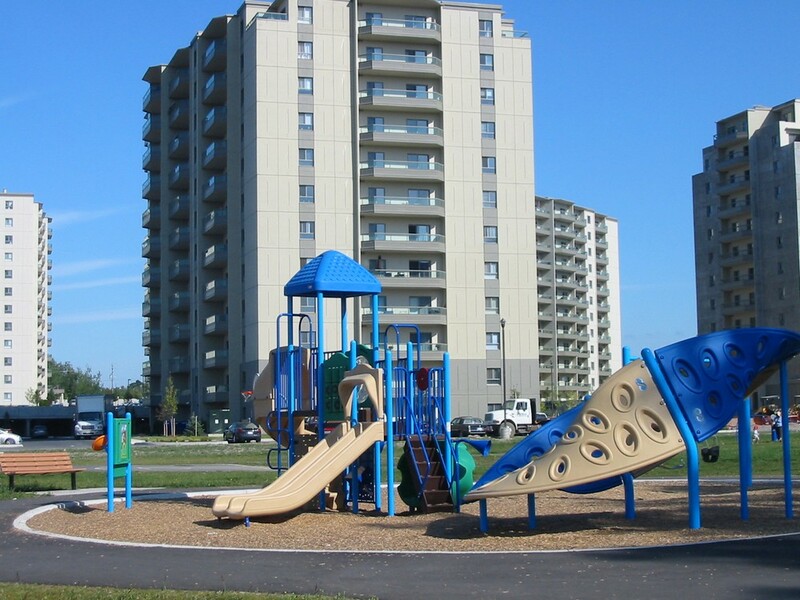 For anyone who likes outdoor exploring, you can see where the Forest City gets its name by exploring the parks and trails along the Thames River, which are just a bike ride away. 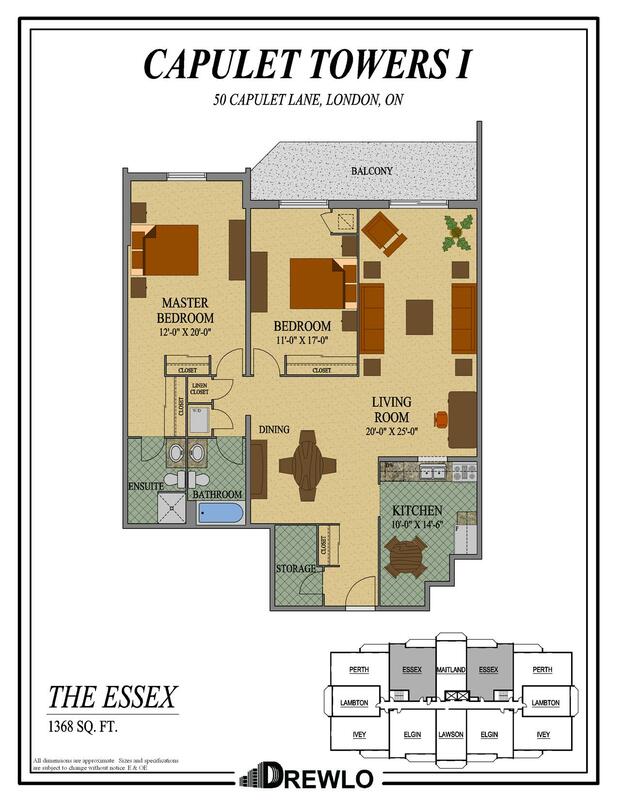 London is truly yours to explore from such an incredible location, with several bus routes available nearby to get you around the city if public transit is what works best for you! 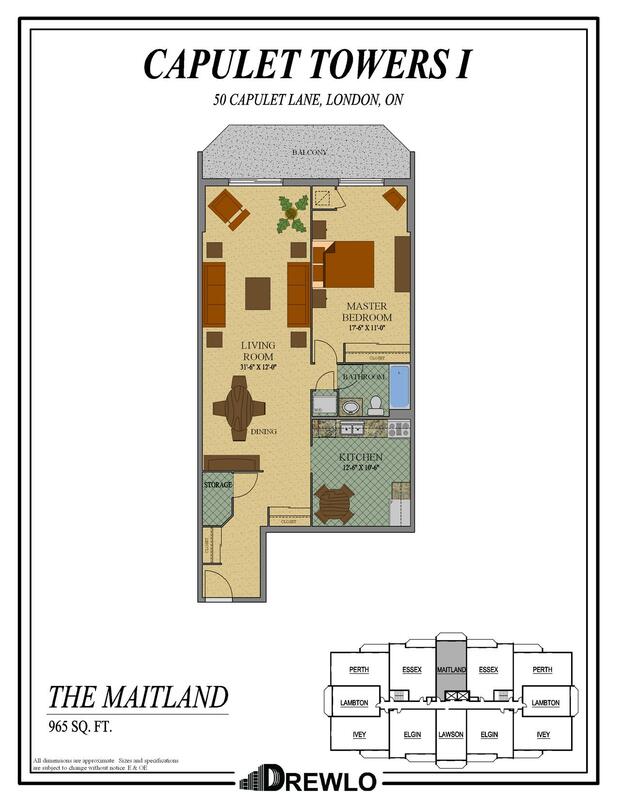 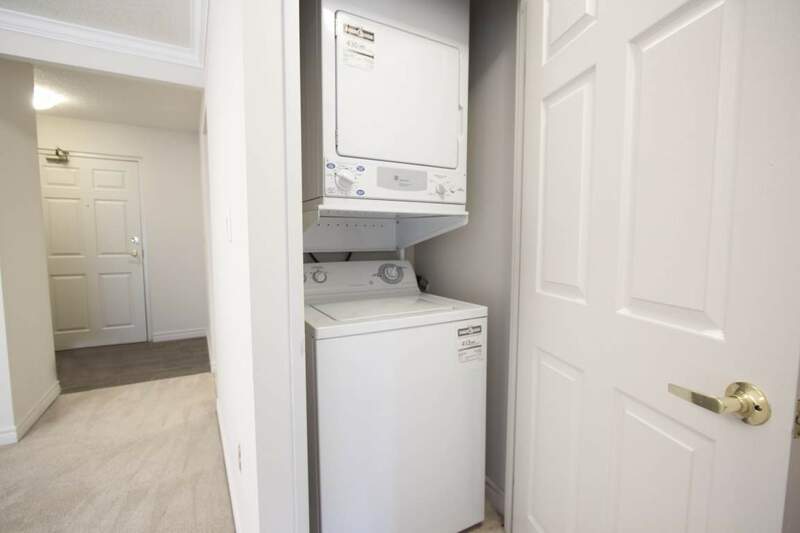 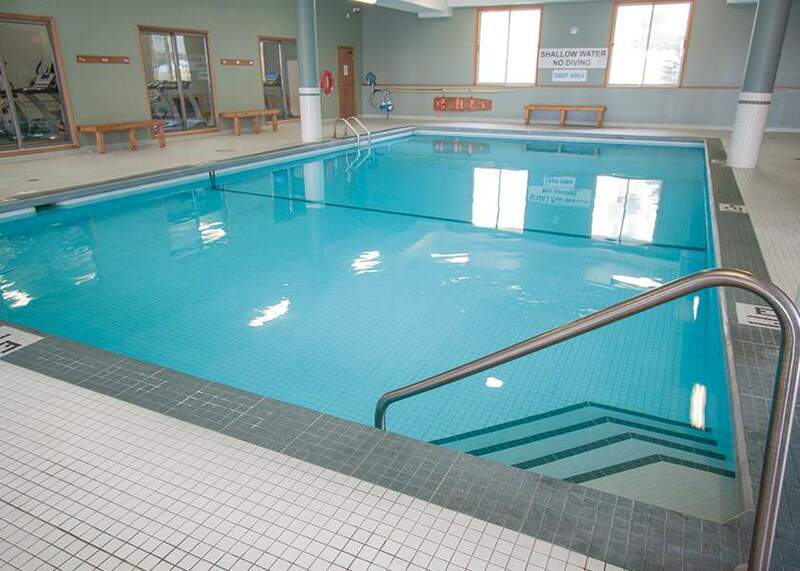 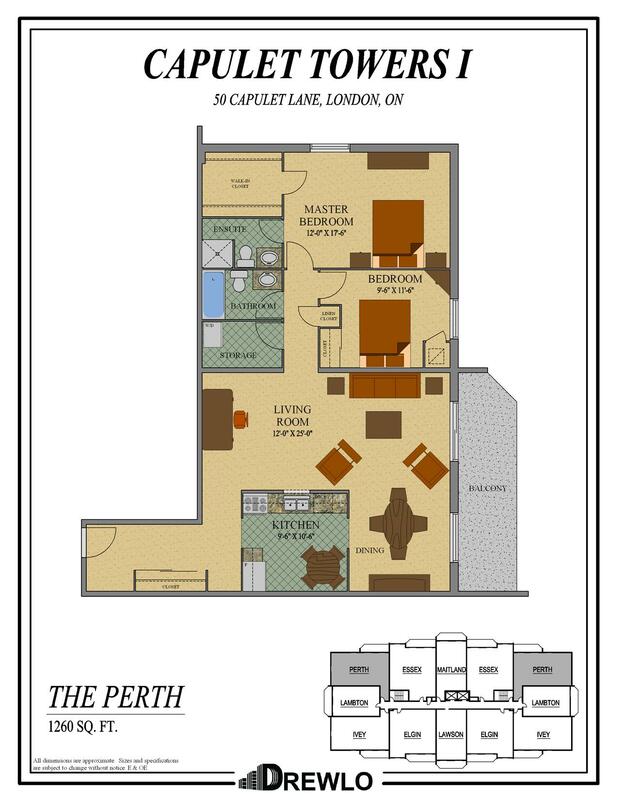 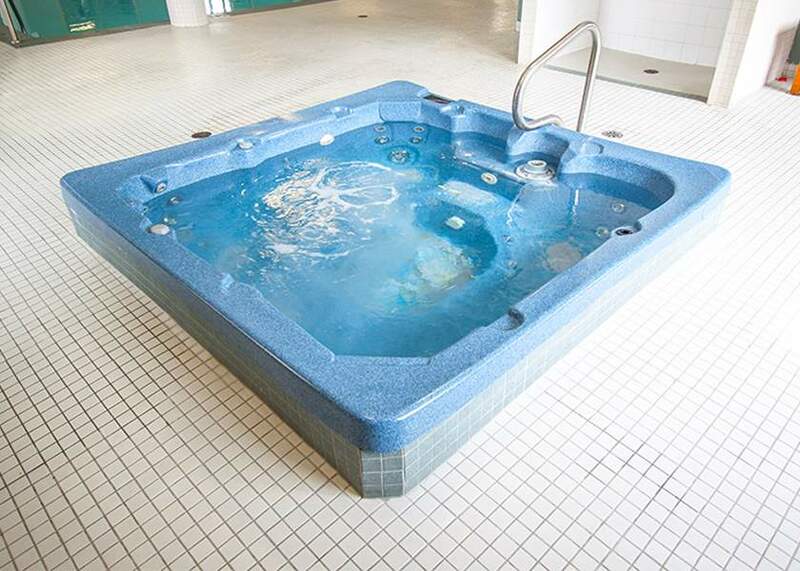 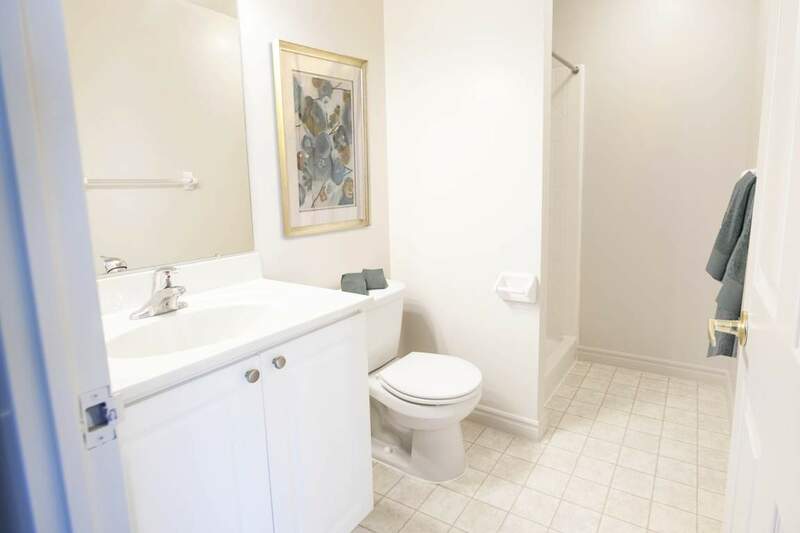 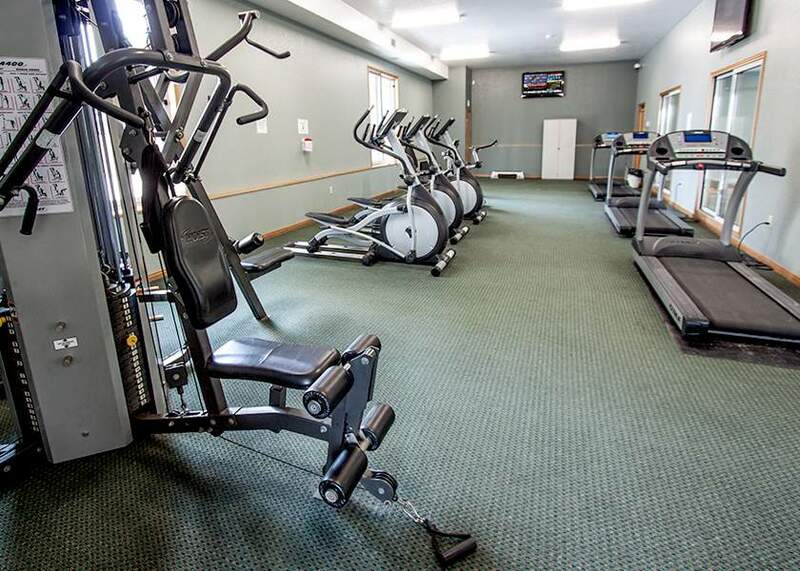 This Apartment Building in London has amenities that are meant to provide maximum comfort and convenience to you, with standout features like an indoor saltwater pool, a hot tub, sauna, fitness room, and a place to meet your new neighbors in our social room! 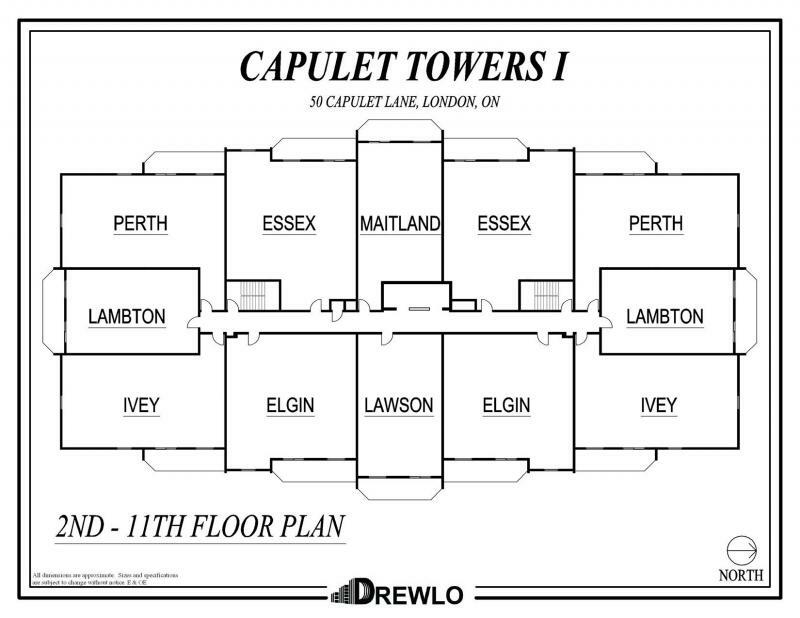 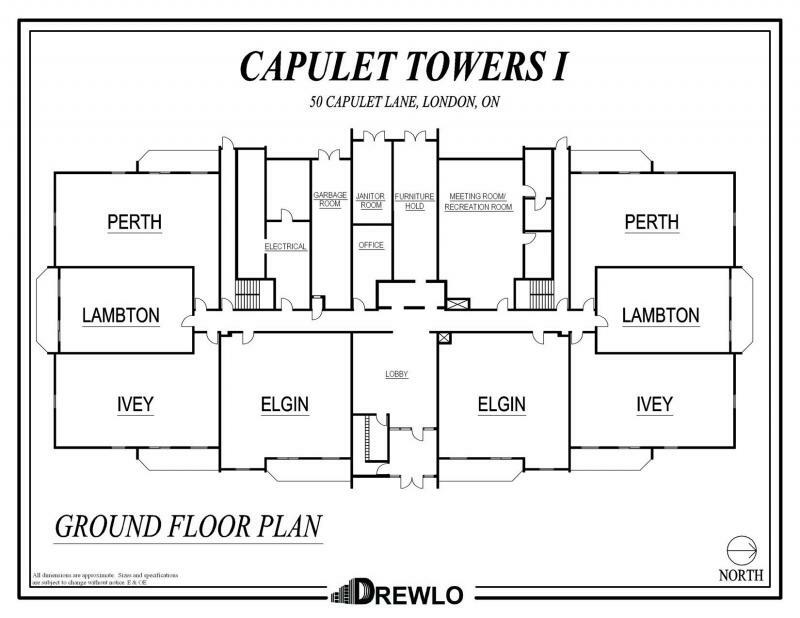 We also offer covered parking, on-site staff, and the whole building is wheelchair accessible, making Capulet Tower a top London rental apartment option, suited for absolutely everyone. 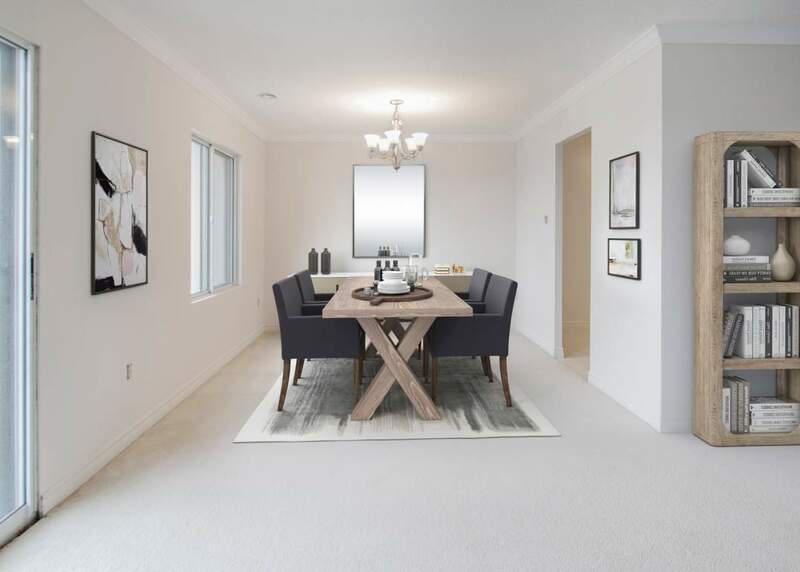 The individual one and two-bedroom suites have impressive features of their own, offering a range of floor plans that offer variety, while each unit providing the same high-quality details and finishing touches. 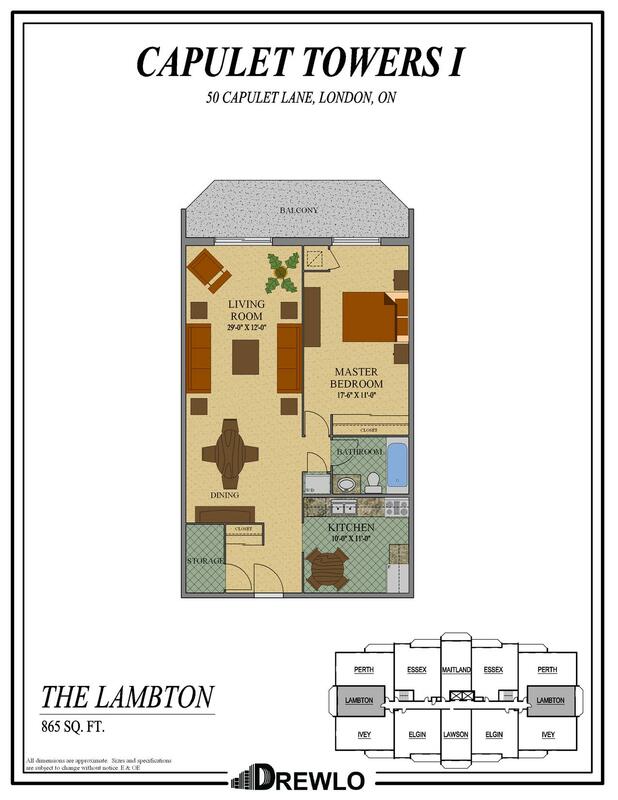 Each suite features an eat-in kitchen, in-suite laundry, walk-in closets, and individual balconies. 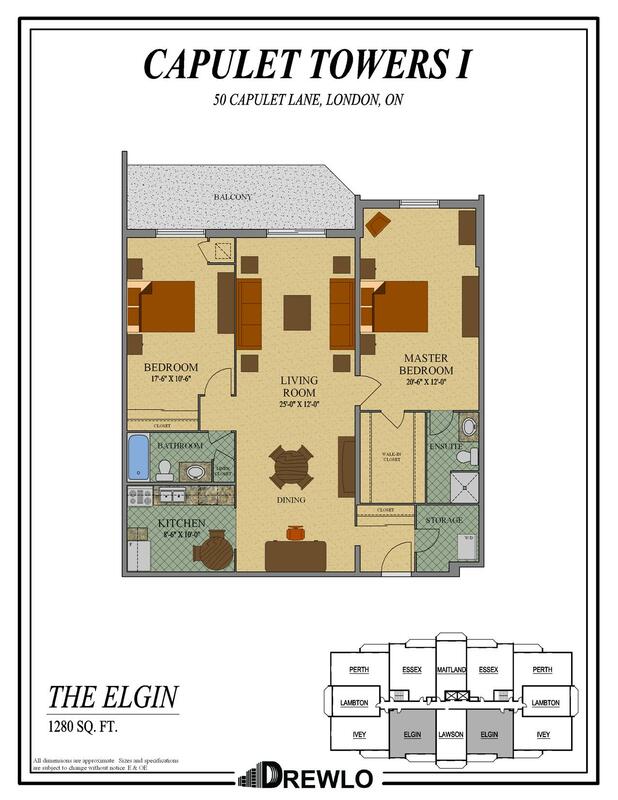 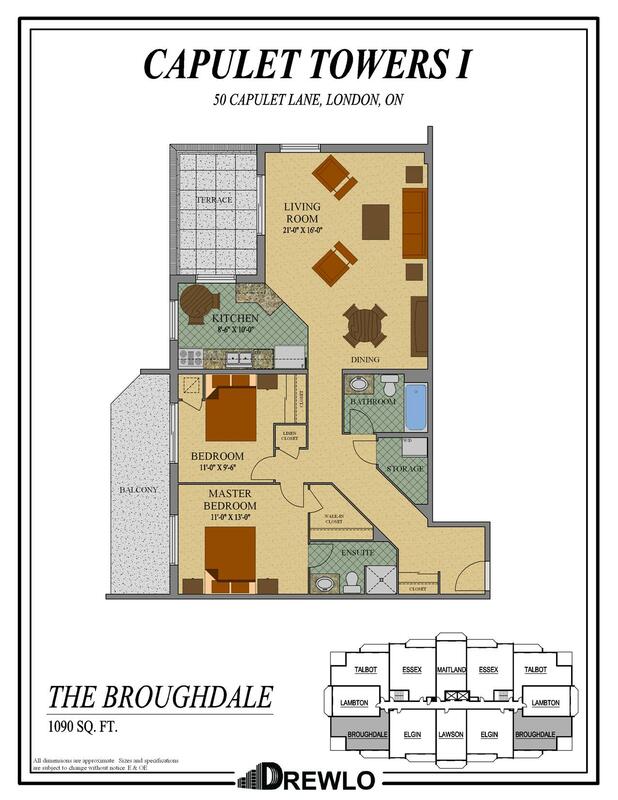 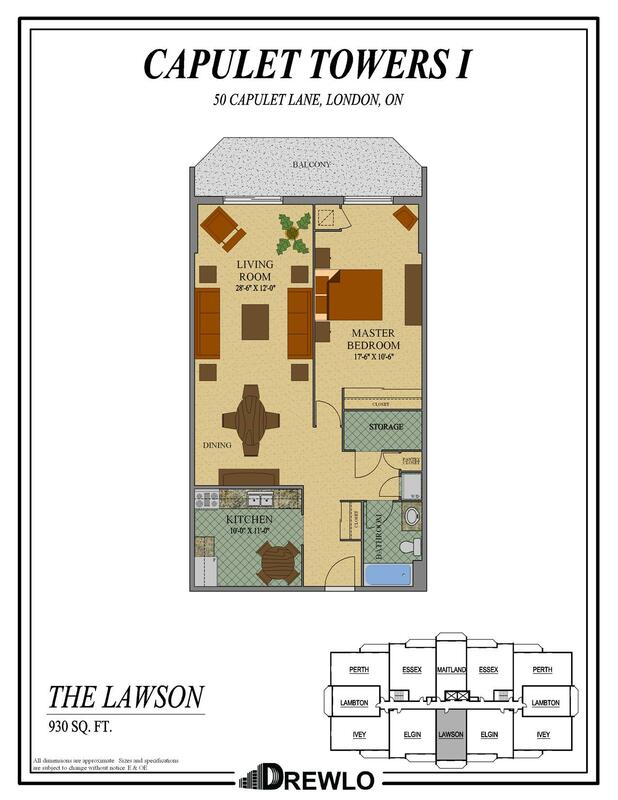 With all suites set to be cable and internet ready, this Apartment Building in London is optimized to make your move to your new home as easy for you as possible, while offering you an incredible place to live in a sought-after part of London.